[R]ather than being a definition retrieval system or associative datastore, their interactive function is to create a gameworld for the reader. This is part of the wonder of these books – they took a pre-existing set of interface conventions designed for utilitarian search tasks and mapped a new activity onto it. They were effectively a new kind of software application for the oldest information-display platform we have. 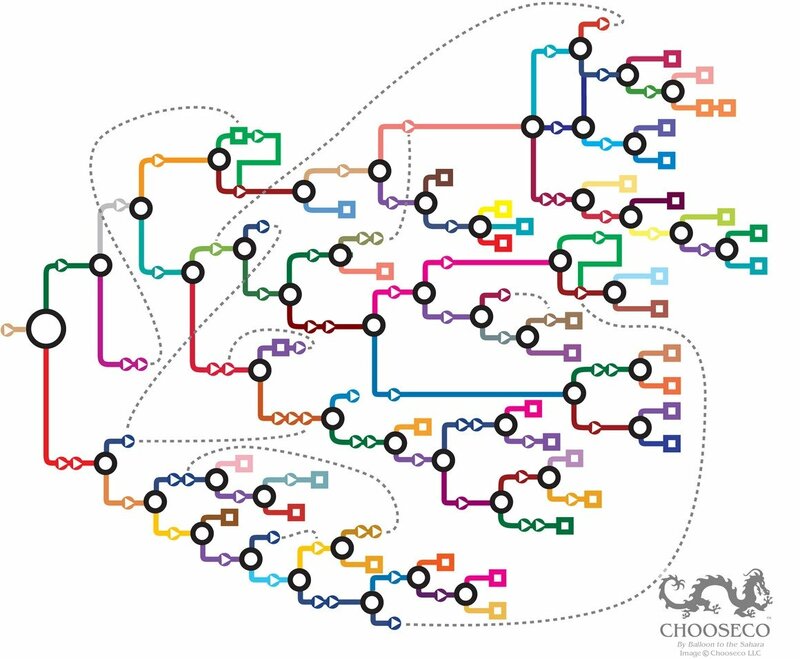 Visualization of a Choose-Your-Own-Adventure book [via]. You can download an annotated pdf file here.